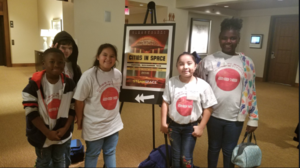 The Cities in Space™ Competition coincides with the New Worlds Conference each fall, offering students access to those who currently work in the space industry and space-oriented academia. 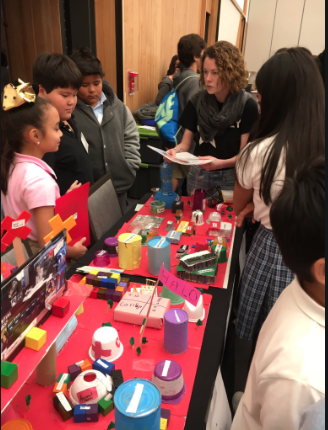 Hosted by New Worlds Conference 2018 this fall in Austin, students will come together to present to judges, compete and learn from one another about building a new world beyond Earth and how to create a surviving and thriving community. At Cities in Space™, when they are not presenting their own projects, competing students have the opportunity to listen to speakers at the conference, and to interact with scientists, engineers, and NASA experts, New Space leaders, and astronauts.The students are expected to create a 3D model of a space colony that can sustain life for 1000 people on either Mars, the moon, or in free space. 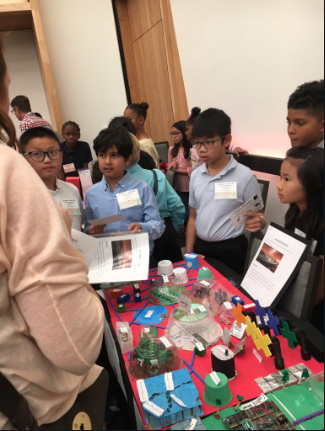 They have to write a 6 page double spaced report describing their colony and how it will sustain life. 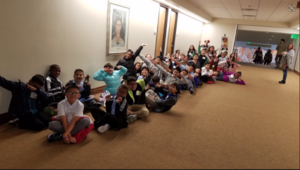 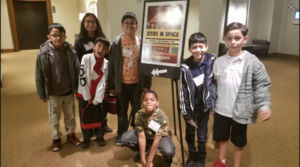 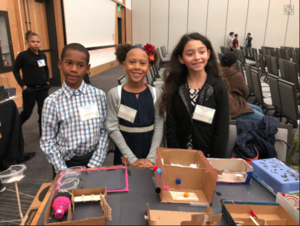 While the competition is designed for 6-12 graders, 4th grade AIMers attend as Young Pioneers and compete against each other for the "Young Pioneers" Award. 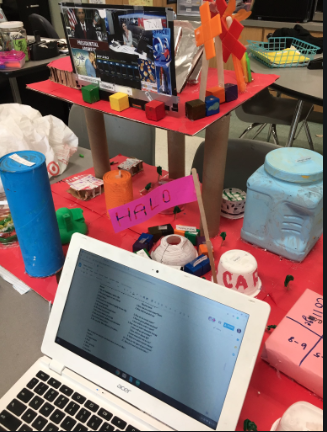 This challenge correlates with their GT curriculum that focuses on systems. 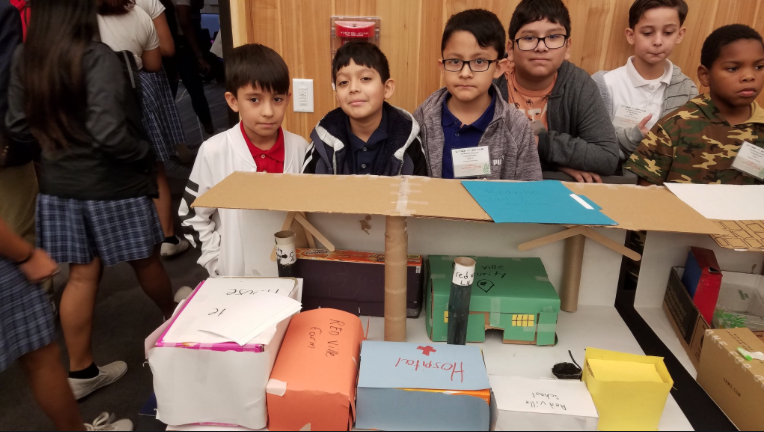 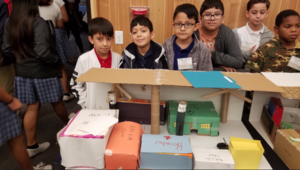 The TEKs aligned to this project require them to identify alternative energy resources, identify characteristics of the sun, earth, and moon, create products from a variety of resources, research, organize, and present ideas, the writing process, and understand organisms and environments.